For those unfamiliar with Zwift Academy, it began in 2016 with a women’s-only version. The idea was groundbreaking yet simple: sign up for free and complete a series of designated Zwift rides to qualify as a finalist. Finalists were then taken to a real-world CANYON//SRAM team training camp, where one rider was selected for a 1-year contract with the team. 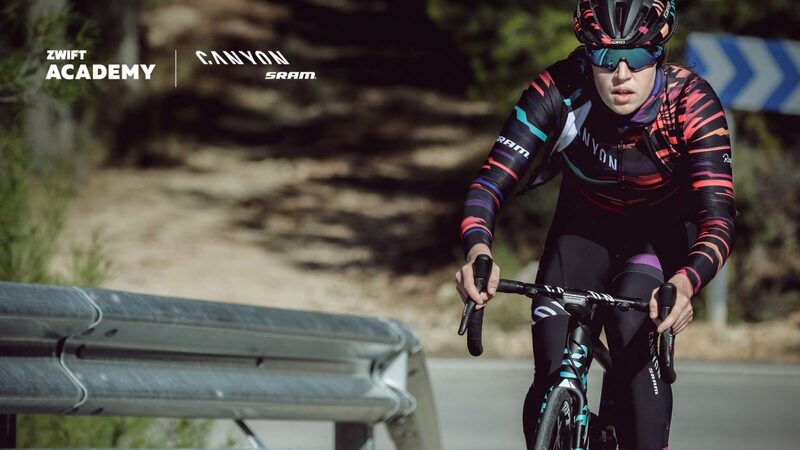 American Leah Thorvilson won that first Zwift Academy, and is now in her second year of world-tour racing with CANYON//SRAM. 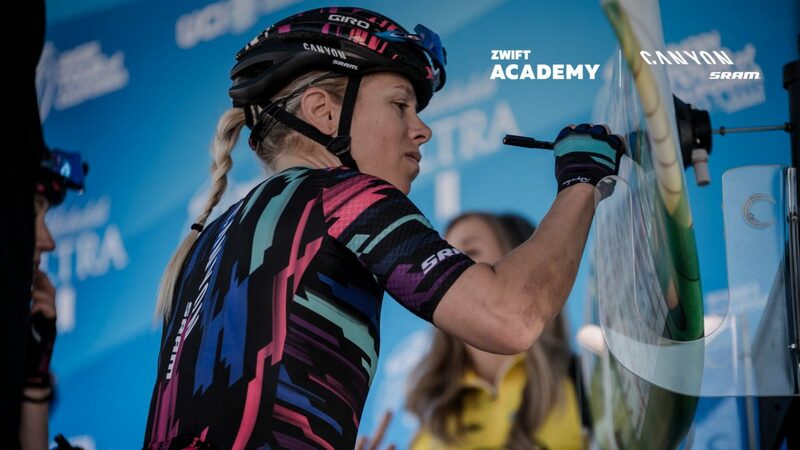 German Tanja Erath won the 2017 Women’s Zwift Academy, so she rode this year with CANYON//SRAM. 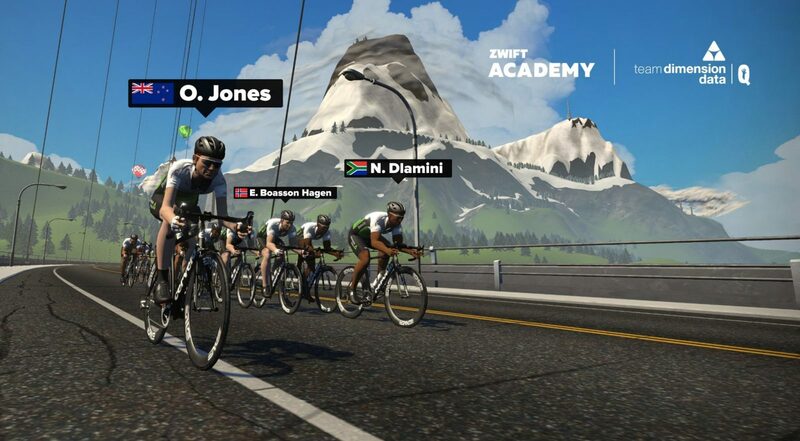 2017 also saw the unveiling of the first-ever Men’s Zwift Academy, with Kiwi winner Ollie Jones being signed to Team Dimension Data for Qhubeka’s Continental U23 Team. 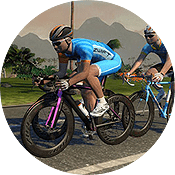 In 2018 Zwift rolled out Zwift Academy Tri, a sponsored team of Zwifters targetting personal bests and achievements at Kona in October 2018. 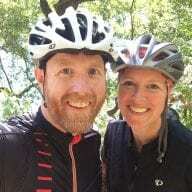 Zwift Academy 2018 begins on August 6th. To graduate from the Academy you must complete a series of 10 workouts, 4 group rides and 2 races. 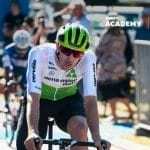 20 semi finalists (10 women, 10 men) will be unveiled in early October, and those semi finalists will eventually be whittled down to a women’s and men’s winner who will each be offered a 1-year contract (to CANYON//SRAM and Team Dimension Data for Qhubeka’s Continental U23 Team, respectively). Registration is free and includes some new perks for 2018. First, all riders will be offered free premium access to Today’s Plan for the duration of the Zwift Academy. The Academy will offer a series of four unlocks (themed virtual swag), encouraging Zwifters to finish as much of the Academy as possible on their way to graduation. Unlocks come after completing each quarter of the series with both in game and real life rewards up for grabs. 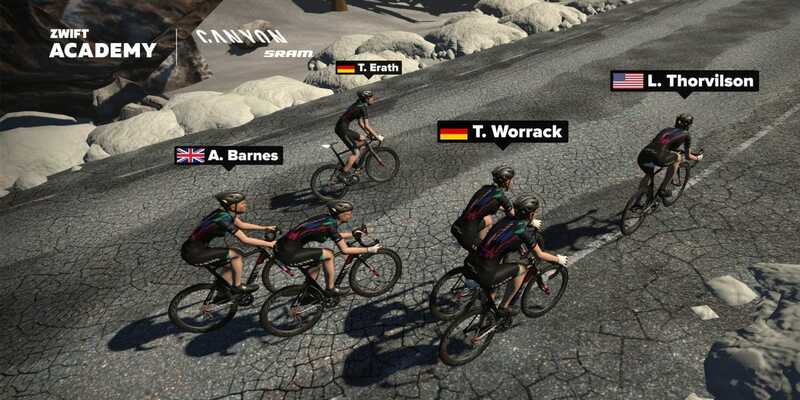 This year a new feature on the Zwift Academy site will allow participants to see how they stack up against others in their age group, as well as the overall competition. 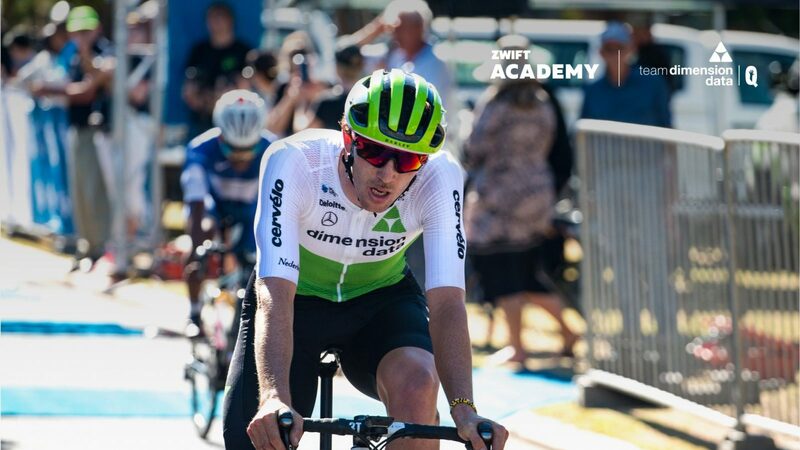 Lastly, as an extra incentive for men to complete the program, Zwift will be donating one Qhubeka bike for every 10 graduates of the Men’s Zwift Academy to support the Team Dimension Data for Qhubeka cause. Last year 850 bikes were donated through this program. Easy! Just visit http://zwift.com/academy, choose the women’s or men’s academy, and sign up! Ollie is a New Zealander, not an Australian.